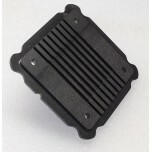 Graphite plates are attached to the electrode backings of a fuel cell stack on either side. These plates serve a double purpose within the fuel cell stack. 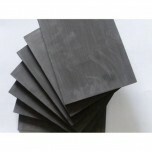 One purpose of the graphite plate is to act as a conductor by receiving the energy from the electrodes. The other purpose is to guide the flow of the hydrogen and oxygen through their respective ends of the stack, making sure that the maximum amount of the gasses and moisture comes in contact with the membrane. 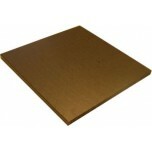 To prevent gasses from leaking out through the normally porous graphite, the plates are constructed using a much longer and more complex process that creates nonporous plates. 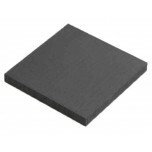 These Isomolded Graphite Plates can be machined on both sides. Isomolded plates are made ou..